my Little homemade products: Snow! 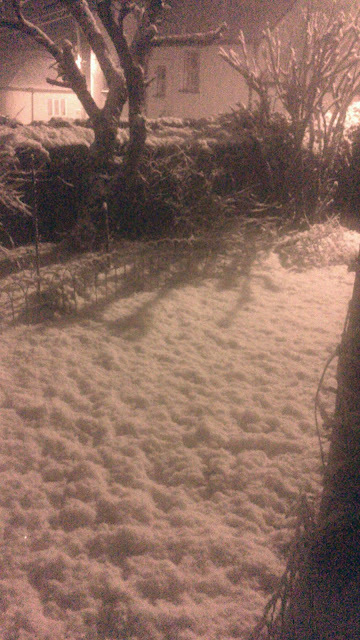 A very bad phone picture of the snow. It is still falling hard...I may be a tad over excited!